Compatibility: Requires iOS 6.1 or later. It constantly closes itself, wiping out all readings. When I reopen the app, everything is back to zero. All entered shots gone. My DR position gone. My course gone. My speed gone. I go through the whole process again, make it plot, and BOOM, back to my home screen, and it’s all gone again. Repeat. Repeat. Repeat. For some ridiculous reason, I kept at it and it finally plotted my position on the fifth attempt, for only for a minute, then BOOM, all gone. Tried again, and it wouldn’t plot. Absolutely worthless! I’ll be pursuing a refund. After making the decision to purchase this rather expensive application I appreciate many of its abilities, True Wind, Sunrise/Sunset, Body ID, etc. 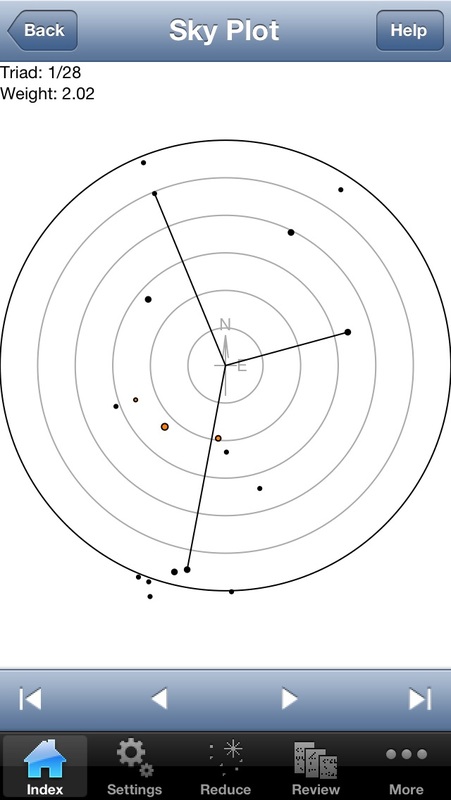 but it doesn't have an apparently easy Azimuth/Amplitude function which is one of my most frequent practices in celestial navigation. If this is added in a later version I will amend this comment. One bug for iPhone 5 are the buttons at the bottom don't work. Tried removing the app from recent app memory and then rebooting. Did not help. Hopefully next update corrects the issue. This is the app that I've recommend for all mariners! No more manual methods!! Just easy way... Thanks.!! I'm using Starpilot for taking gyro errors and position fixing frequently. It's giving a very precise figures and very reliable and can be used for navigation on big vessels. 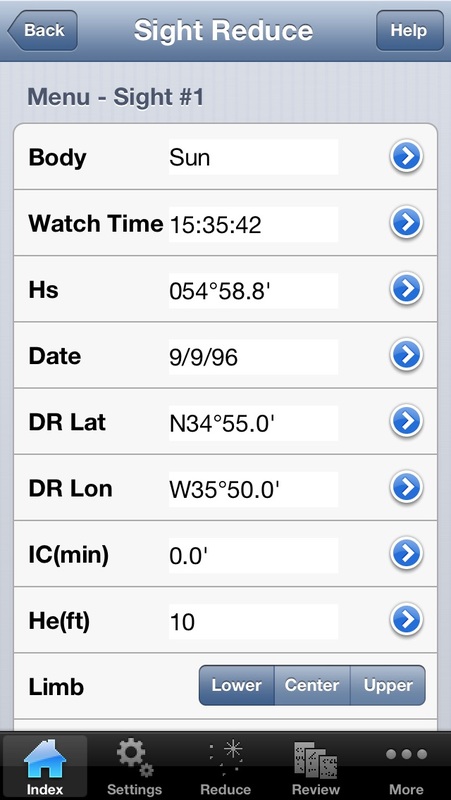 I'm recommending this app for all navigators, at the moment it's the best one. But it will be great to have a features such as : printing of determined position by dead reckoning and observed position. At least possibility to save it and then to print manually from album or whatever. Also will be nice to have an option to take a position and time fix automatically by pushbutton on taking a sight! 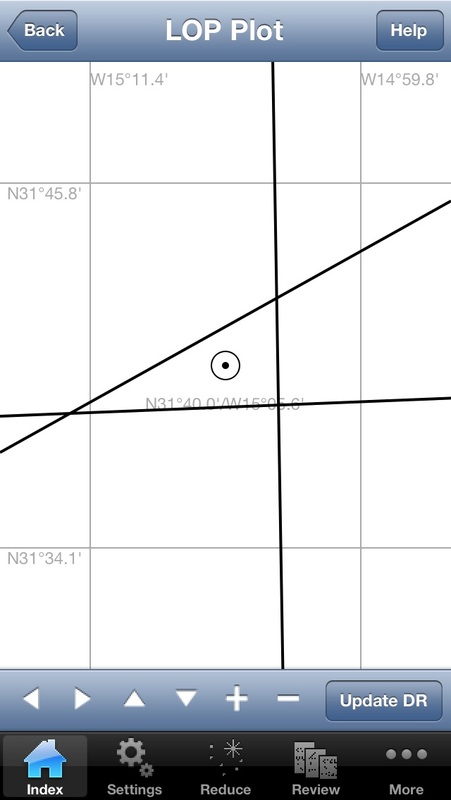 A little improvement in a drawing of chart mercator's scale and observed position will be nice(sometimes very hard to read something there and not a perfect tool for zooming). Will be nice to include possibility of reviewing of daily Almanac and associated pages for manual calculations(useful for practical navigators for improving skills). Thanks, and waiting for updates! If will be any improvements I'll recomend and spread between many of my iPhone-users and navigators this great application! Good luck! 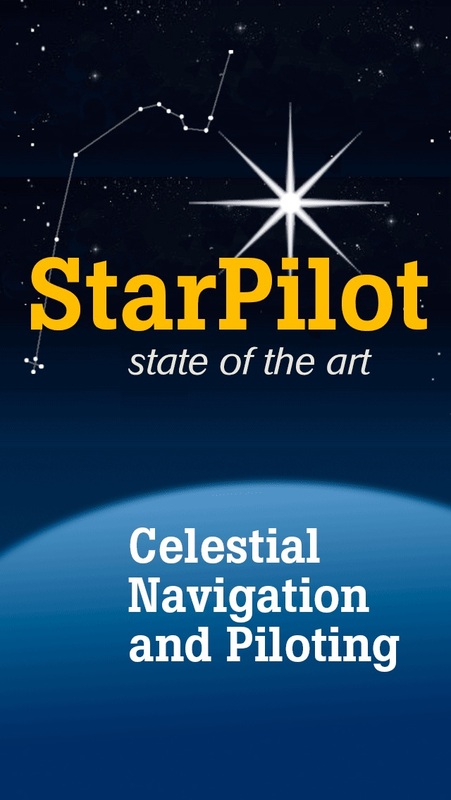 The Starpilot iphone/ipod program is a well made celestial navigation application for the professional mariner. I have made a number of sea passages using the app for iphone and have found it very useful, well designed, and fun to use. No matter what your level of involvement is with celestial navigation (C-Nav), from just doing a few azimuths or amplitudes to check your vessel's compass to doing full days worth of celestial navigation, this program has it all covered. 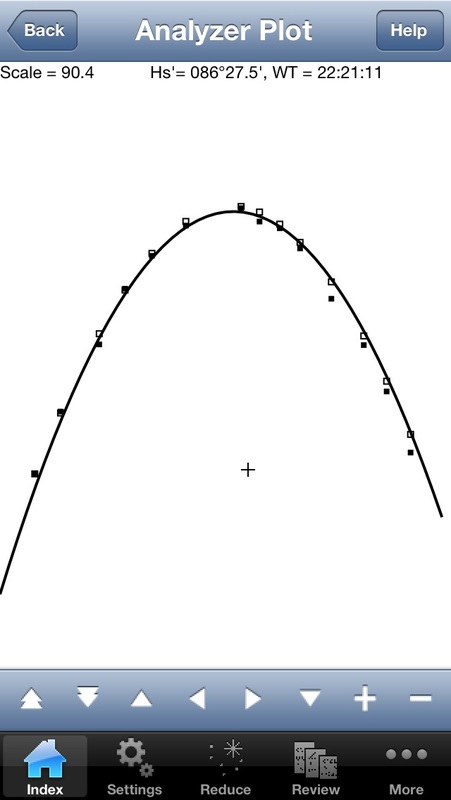 For me it puts the fun back into C-nav by removing almost all of the tedious number crunching and calculation errors (human) that can go along with using the publications and I have found the results to be highly accurate. I do not recommend that someone preparing for professional testing/licensing use this program as the sole means of learning Celestial Navigation. For that there is no substitute for learning to use the publications in this situation. Though, it could be used as a way to check your work. One advantage I can see this App would have onboard a small vessel is the precious space saved by the reduction of publications needed to do C-Nav. Another advantage that using this app on an iphone or ipod touch has is that the device is backlit so you can do your calculation on a dimly lit bridge or chartroom without having to hold a flashlight to see your work, ruining your night vision. The program is well designed and layed out. But, Don’t be fooled though, it will take some time to learn your way around and get your bearings. But, I would think this would be expected based on the complexity of c-nav and the number is different uses the program has. After playing around with it a bit and taking a few sights most people should have no problem with it. Also the manual is built into the program under the “help” option. The creator of this app seems to be very passionate about his product. I wrote to him to make a suggestion about the Starpilot program and within minutes of hitting the send button I had a reply from him. I strongly recommend this app. The last update has left the screen red. I can't see any of the menus and I paid way too much for this app. Please fix or let me download again. Don't purchase until this red screen problem is fixed.